i feel it looks lopsided without a flashy back graphic. it think if it had a flashy back or a minimal front it would be a solid choice. I love the look of the John Lofgren M-43. They're perfect, only thing is they have the sort of "slim" look to them that make me very certain my wide platypus feet would hang far far over the edge of the shoe. 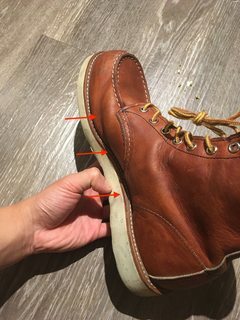 Even when I wear "chunky" shoes, like my Redwing 875, a crease develops along the inside curve of the foot where the leather is pulled outwards to give way. Sorry to drop these unsolicited nightmare fuel pics here but you can see what I mean when I say I spill over the edges of my shoes. In the middle picture you can see the leather has been pulled far out to the side. 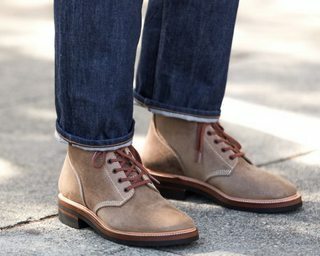 I thought maybe Viberg Boondockers (2045 last) or the Real Mccoy N-1 field shoes (if I can even find where to buy a pair) would be chunky enough to fit my wide feet but then I think to myself, for that much $$$ don't you want to pick the boots that look the best? The big deal for me isn't comfort or having to size up. Its having the whole shoe look deflated or as if someone had flattened it like a pancake. Believe me, I could wear virtually any size and the sole would never be wide enough for my feet not to "spill" over. Don't really know what I'm asking here. I guess its basically, should I get the Viberg Boondocker 2045/RMC N-1 because they look chunky enough for my feet or the John Lofgren ones because they look the best? Alternatively, I guess this directed at anyone with wide feet to share their experiences/opinions with these or any other boot brands. @LQW tough call between the boondockers you've narrowed in on. 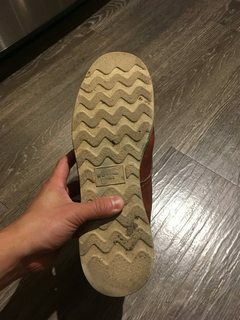 I have the Viberg 2045 boondockers and I really like them, as I also have the same issue as you having wide feet. I find the 2045 to be the most comfortable last for my feet, and I've had very little spillage over the sides making the leather look odd. I'll try and take some photos to show you how the toe on my pair has collapsed, but I know it hasn't collapsed as much as the Lofgrens will. I remember reading somewhere (maybe DB, I think someone did this on their RMC boondockers) that you can flatten the toe box out with some water and it'll help accelerate the process. All that being said I think you can't go wrong with any of the boots you have listed, all great options. If I ever get another pair of boondockers I might go with the Lofgrens to try something different. the lofgren boondockers are munson last. I can't imagine someones paddles not fitting well in that last. very paddle friendly. ^^This, I have wide feet too and have had no issue with the Lofgren M-43s. 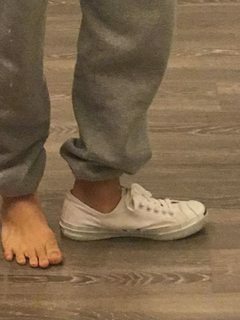 All of John's footwear is wide-foot-friendly. Anybody have thoughts on how the 15.7 fabric on the momo vintage label would turn out with a frequent/regular washing routine? I'm pretty much a TCB & SC guy, and prefer more vintage-style fades and the gentler color gradations, puckering, and train tracks that comes with it. Momos seem to have lost some their following around as folks have turned their attention away from high contrast fade and toward the Fullcount/Warehouse/TCB repro scene, but I'm thinking of bucking the trend a little by grabbing a pair of 0901s and washing them every 3-5 weeks. I can't seem to find any pics of pairs in that fabric that have been treated that way. The pair below has more contrast than I'd want, especially @ the whiskers, but the thighs and the seat hint at the possibilities of still getting some nice, subtler fading. I’m in the market for a pair of officer shoes that I can wear as a casual dress shoe for work. Some options that caught my interest so far were the Phigvel service shoes or the Sanders Military Collection, but unfortunately they don’t seem to be available in North America or Europe. Any recommendations out there on a sub-$500 derby in this style with inexpensive shipping to the US? If you're not a hurry, you could make a oxford through Whites. sub-$500 derby in this style with inexpensive shipping to the US? Though on second thought, I have seen a Red Wing blucher type shoe in Nordstrom Rack for much cheaper. Not quite as nice as the linked ones though. I don't think those were released in the US. I've narrowed down my next denim purchase to the Ooe Yofukuten OA01 (size 36) that dropped recently or a pair of the Full Count 1101 (size 33). The denim weight is nearly identical. How do the denim hand, top blocks, and details compare? My best fitting/feeling/looking pair of jeans are the Warehouse 800 in tag size 34. The OA01 measurements are very similar to the WH 800 and I really like the higher rise of both. The FC look to taper more below the knee and have a slightly lower rise. My guess is that I can't go wrong with either pair, but am interested to hear what people who own or have tried on/felt both have to say. @Josh'N'Roll so I have the FC 1101 and then I have the Ooe OA02XX (the old OA denim, new one has a different weft yarn fill color) and the Ooe DB01 (limited release natural indigo jeans for the Denim Bruin event, but they are based off the 01 cut) so hopefully I can chime in and help a little. The two cuts are pretty different I think, the FC 1101 is a great pair of mid/high rise slightly tapered jeans. On the other hand the 01 cut is high rise and pretty straight from the knee down. I think the biggest difference you'll notice in the two is from the knee down, and I also find the top block more fitted on the 01 than the 1101. I find the denim on the FC 1101's to be a bit rougher in the hand but still very soft, while the OA denim is rather soft and a bit more uniform in texture but over time ages very nicely. If you want I could try and take some side by side photos, the two pairs are in very different stages (the Ooe's being pretty worn, while the FC's aren't quite as worn). I think a more comparable comparison between the two brands would be the Ooe OA02 and the FC 1101 (both being mid/high rise), or alternatively the Ooe OA01 and the FC 0105 (straighter legged pairs). I don't have any personal experience with the FC 0105 but as far as I know it is a fuller, straighter legged cut. Personally I would say go with the OA01's, but I am an Ooe fanboy. Also the FC 1101 are made and available year round, while Ooe make things in small batches, so who knows when they'll make another round of OA01's. @Broark Thank you for the ace comparisons! This is exactly the type of response I hoped my post would elicit. I was already leaning towards the OA01, but your info on its uniform texture, fitted top block, and aging properties, along with the quoted line below, sealed the deal. Also the FC 1101 are made and available year round, while Ooe make things in small batches, so who knows when they'll make another round of OA01's. I had the same thought as I was considering the Ooe vs the FC, so I'm glad you pointed it out, too. Gotta grab the OA01 while they're hot! I can always pick up a pair of 1101 the next time I have $225 burning a hole in my pocket. Thanks again for the great comparisons! I have a preference for the Iron Heart visually. But in the end pick the one that fits you the best. Thanks, I think I slightly prefer the look of the IH too but trying on first is likely not a possibility, so it’s down to visuals and measurements. 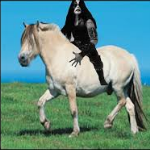 I prefer the Appaloosa, the midnight denim is quite nice. Always liked the look of the Appaloosa. 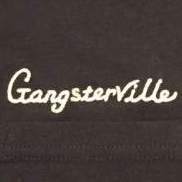 Lady White or Whitesville T-Shirts? What brand should I go for? PBJ, Oni or Samurai? Or any other top raw denim? Depends on what you're after mate. Slubby denim? Heavyweight denim? Got any preference on fit? That should definitely be influencing your choice. I do think Samurai doesn't get enough credit these days. I'd still pick them over PBJ or Oni. Their 15 (?) 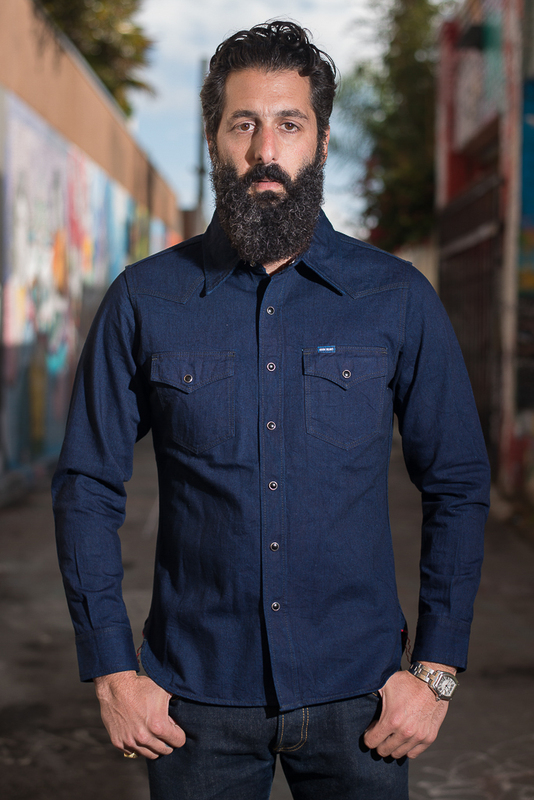 oz Texas denim is great but if you want something with more weight and irregularities to it the 710 is a great tapered cut that fades so well. But then again, I only ever wear Ooe Yofukuten, TCB, Denimbridge and Warehouse these days, haha. Always such a hard question to answer for people. We can all tell you which brands we love... but its always going to be larely based on our personal experience and preference. Ya know, its easy for us to kind of make a reccomendation (if you want super heavy denim maybe look at Iron Heart, if you want super slubby perhaps you should look at The Strike Gold, etc etc), but I really would think the best advice I could give you would be to just look at a LOT of denim. Scroll through every forum and webstore you can find. Look at fit photos, fade photos, read what people have to say about their personal pairs and just really get a feel for what speaks to YOU, and give that a try.